Apparently, 38 million people CAN be wrong. That was the audience for the Super Bowl-following Grey’s Anatomy Sunday night on ABC. I admit I got sucked in by the “Code Black” promos that ran incessantly. I had an educated guess what the episode would be about. I was right and I was disappointed. Props however, to the scene with the hott blonde taking the dude into the storeroom for a pickle tickle. 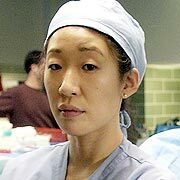 Not enough to overcome a largely suspense-less hour and too many scenes containing the incredibly fugly Sandra Oh. Will I never learn the deceitfulness of network promos?